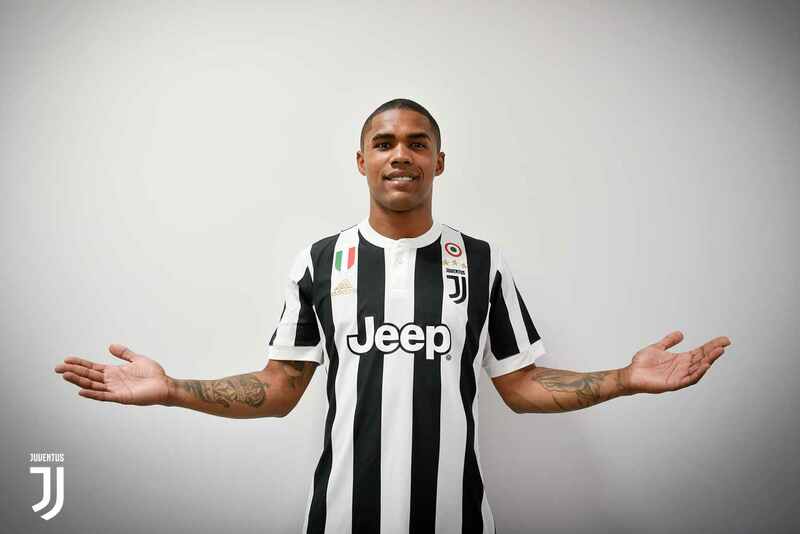 Douglas Costa de Souza commonly known as Douglas Costa, is a Brazilian footballer who plays for Italian club Juventus FC and the Brazil national team as a winger. He is known for his dribbling skills, speed and crossing ability. Costa started his career with Gremio, before moving to Shakhtar Donetsk in January 2010 for a fee of €6 million. He won numerous trophies with Shakhtar, including a domestic treble in the 2010–11 season (Premier League, the Ukrainian Cup and the Super Cup). In 2015, he joined Bayern for €30 million. A full international since 2014, Costa represented Brazil at the 2015 Copa America. Born in Sapucaia do Sul, Rio Grande do Sul, Douglas began his career with Gremio, joining the club at the age of 11. He made his debut for the club at the age of 18 in a 2–1 victory over Botafogo on 4 October 2008, scoring his first goal for the club in the same match. He joined Ukrainian side Shakhtar Donetsk on 10 January 2010. He made 37 appearances for Gremio, including 28 league appearances, scoring twice. On 10 January 2010, Costa signed a five-year contract with Shakhtar Donetsk in a deal worth €6 million. His debut came in a UEFA Europa League tie against English side Fulham on 18 February which Shakhtar lost 2–1. In his first season with Shakhtar, Douglas made 15 appearances, including 13 league appearances, scoring five goals, all of which came in the league. Shakhtar won the 2009–10 Premier League title, Costa's first trophy with the club. Costa's first appearance in the 2010–11 season came in the 7–1 Super Cup win against Tavriya on 4 July. On 28 September, he scored a penalty, and assisted two Luiz Adriano goals in a 3–0 UEFA Champions League victory over Portuguese club Braga. On 16 February, he netted the second goal, and assisted the third for Luiz Adriano, in a 3–2 victory over Roma. Shakhtar managed to end the season as treble winners, winning the Premier League, Ukrainian Cup and the Super Cup. Costa made a total of 39 appearances for the club, scoring seven goals. Twenty-seven of the appearances and five of the goals came in the league. Shakhtar won the Premier League and the Ukrainian Cup, Costa's third Premier League title success in his third year with the club. He played 34 matches, scoring six goals. Twenty-seven of the appearances and all six of the goals came in the league. During the group stages of the season's edition of Champions League, Shakhtar finished second in the group behind Serie A champions Juventus, while dumping holders Chelsea out of the competition. Following an underwhelming first half of the 2012–13 campaign, Costa came off the bench to score a vital goal in Shakhtar's 2–2 first leg draw with Borussia Dortmund in the Champions League Round of 16 tie on 13 February 2013. On 1 July 2015, Bayern Munich announced they had signed Costa for a €30 million fee on a five-year contract, the fourth-highest transfer fee in Bayern's history. He was given the number 11. He made his debut as a starter on 1 August in the 2015 DFL-Supercup away to VfL Wolfsburg, crossing for Arjen Robben to open the scoring in an eventual 1–1 draw. Thirteen days later, he scored his first goal, concluding Bayern's 5–0 home win against Hamburger SV in the first game of the 2015–16 Bundesliga season. On 21 May 2016, Costa scored the winning kick of the penalty shootout against Borussia Dortmund to win the 2016 DFB-Pokal Final and secure a league and cup double for Bayern. Costa finished the 2015–16 season with 7 goals in 43 matches. On 12 July 2017, Costa joined Juventus on loan until the end of the 2017–18 season, for €6 million. Juventus has an option to make the move permanent on 1 July 2018, for an additional €40 million fee (plus €1M in bonuses).On 13 August, he made his club debut, coming on as a substitute in a 3–2 defeat to Lazio in the 2017 Supercoppa Italiana. In his debut season he led the league in dribbles (106) and recorded the second-most assists (14) in Seria A. On 7 June 2018, Juventus made his loan move permanent, signing Costa to a four-year deal for a fee of €40 million plus bonus. In November 2014, Costa was called up to the Brazil national team for the first time by coach Dunga, making his international debut against Turkey in Istanbul. In May 2015, Costa was included in Brazil's 23-man squad for the 2015 Copa America. In the team's opening match, he came on as a substitute for Diego Tardelli and scored a stoppage-time winning goal against Peru, his first for the Selecao. On 17 November, Costa scored his second goal for Brazil in 3–0 victory against Peru for 2018 FIFA World Cup qualification. 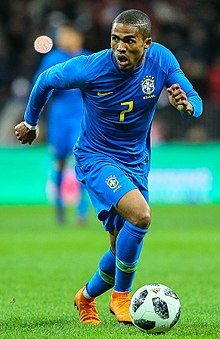 Costa was also part of the 2018 Brazilian National Team who played in the 2018 World Cup in Russia.